June 2013 marked the 50th anniversary of the first woman to travel to space. 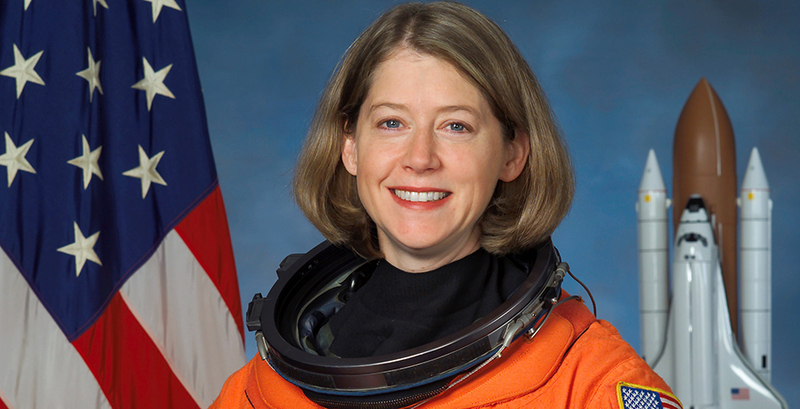 Pamela Melroy '83, a retired NASA astronaut, was the second woman to command a space shuttle mission and is one of only 57 women who have flown in space. In a piece for the Guardian US, she reflects on the past 50 years, leadership, and the women who went before her into the "final frontier." The first woman to go to space was Russian cosmonaut Valentina Tereshkova. American Sally Ride followed 20 years later. "I was born into a world before women astronauts, but I was very fortunate to have been at the right place and time to take advantage of these trailblazers," Melroy wrote. "As one of the women who followed Tereshkova and Sally Ride into space, I am forever grateful to our country and Nasa for the opportunity to have my childhood dreams come true." "Young women of today can't imagine a time when women couldn't be astronauts, and I'm just fine with that," Melroy wrote. "In fact, I hope to see many more young women, and men, listening to their inner voices, following the leaps of their own imaginations and forging new paths here on Earth and beyond." Melroy traveled to Beijing for the launch of World Women Partners last month where she told participants, "knowing yourself is the first step to leadership." She continued, "Once you show that you know yourself and can envision a path ahead, you will earn the trust of your team — not as not as a woman leader, not as a man leader, but the unique leader that you are as a person." Read "The final frontier: what a 50 years it's been for women in space" in the Guardian.